In a fiber optic system, connectors and optical devices on the output of the transmitter may cause reflection, absorption, or scattering of the optical signal. These effects may cause light energy to be reflected back at the source and interfere with source operation. In order to reduce the effects of interference, you may need an optical isolator. An optical isolator, or optical diode, is an optical component which allows the transmission of light in only one direction. It is typically used to prevent unwanted feedback into an optical oscillator, such as a laser cavity. The operation of the device depends on the Faraday effect (which in turn is produced by magneto-optic effect), which is used in the main component, the Faraday rotator. An optical isolator contains three components, an input polarizer, a Faraday rotator and an output polarizer. As showed in Figure 1, light traveling in the forward direction passes through the input polarizer and becomes polarized in the vertical plane. Upon passing through the Faraday rotator, the plane of polarization will have been rotated 45° on axis. The output polarizer, which has been aligned 45° relative to the input polarizer will allow the light to pass unimpeded. As Figure 2 illustrates, light traveling in the reverse direction will pass through the output polarizer and become polarized at 45°. The light will then pass through the Faraday rotator and experience an additional 45° of nonreciprocal rotation. The light is now polarized in the horizontal plane and will be rejected by the input polarizer which only allows light polarized in the vertical plane to pass unimpeded. According to the polarization characteristics, optical isolator can be divided into polarization independent type and polarization dependent type. The polarization dependent isolator, or Faraday isolator, is made of three parts, an input polarizer, a Faraday rotator, and an output polarizer, called an analyser (polarized at 45°). Polarization dependent isolators are typically used in free space optical systems. This is because the polarization of the source is typically maintained by the system. In optical fiber systems, the polarization direction is typically dispersed in non polarization maintaining systems. Hence the angle of polarization will lead to a loss. The polarization independent isolator is made of three parts, an input birefringent wedge, a Faraday rotator, and an output birefringent wedge. Typically collimators are used on either side of the isolator. In the transmitted direction, the beam is split and then combined and focused into the output collimator. In the isolated direction the beam is split, and then diverged, so it does not focus on the collimator. Optical isolator is used in many optical applications in corporate, industrial, and laboratory settings. 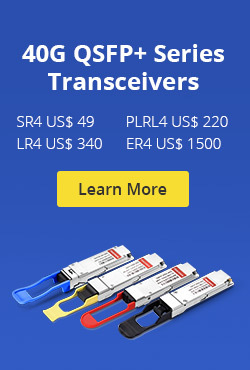 They are reliable devices when used in conjunction with fiber optic amplifiers, fiber optic ring lasers, fiber optic links in CATV applications, and high-speed and coherent fiber optic communication systems. Single polarization fiber optic isolators are also used with laser diodes, gyroscopic systems, optical modular interfaces, and a variety of other mechanical control and testing applications. From the text, we can get basic Knowledge of optical isolator. 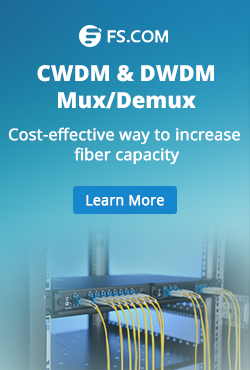 It plays an important role in fiber optic system by stopping back-reflection and scattered light from reaching sensitive components, particularly lasers. For more information about optical isolator, you can visit Fiberstore. This entry was posted in Optical Isolator and tagged optical isolator, polarization dependent isolator, polarization independent isolator on July 10, 2015 by Admin.